Zlatan Ibrahimovic was described as "phenomenal" by Manchester United boss Jose Mourinho this week and the striker proved his worth with both goals in the Reds' 2-0 win at West Brom. The former Sweden international headed in a brilliant delivery from Jesse Lingard after five minutes then struck again shortly after the break. The victory, United's third in a row in the Premier League, edged Mourinho's men nearer to the top four ahead of Sunday's fixtures, which see Manchester City, Arsenal and Tottenham all in action. An unerring knack of finding the net and a medal-laden CV led to much excitement around Old Trafford when the 35-year-old eventually signed in the summer on a free transfer from Paris St Germain. However, few expected Ibrahimovic to have such an impact, given his advancing years and the punishing fixture schedule in England. But the former Sweden international has featured in 25 of United's 27 matches this season and shown few ill effects, with his double at The Hawthorns on Saturday evening taking his tally for the campaign to 16 goals. United made the perfect start, going ahead early with a stylish, slick move rarely seen since Sir Alex Ferguson's departure. Paul Pogba switched play from left to right after receiving the ball from a Wayne Rooney throw-in. Antonio Valencia's touch was instant and he launched a long ball down the flank after spotting the run of Lingard, who barely had to break stride before hitting a first-time cross on the half volley into the penalty area where Ibrahimovic was arriving to head home. 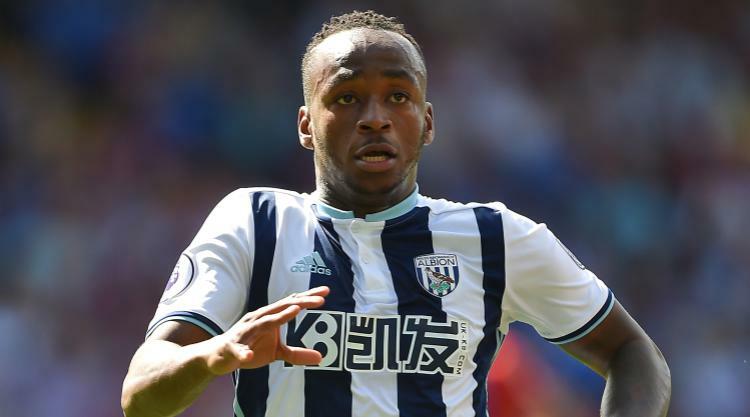 West Brom soon showed they could play a little too and a flowing move culminated in Craig Dawson and Chris Brunt combining well down the left to earn a corner. Brunt's kick was met at the near post by Jonas Olsson but his glancing header spun dangerously across the six-yard box and out on the other side without anyone getting a decisive touch to the ball. Rooney came within a whisker of doubling United's lead midway through the first half with a powerful effort from the edge of the box but Ben Foster got a vital touch to the ball and it crashed against the crossbar. Ibrahimovic incensed the home crowd shortly afterwards when he floored Dawson in a late aerial challenge. The home crowd were baying for a red card but replays showed the contact was made with the shoulder area rather than an elbow and referee Anthony Taylor was right to issue only a yellow. There were opportunities at both ends before half-time as Salomon Rondon glanced a header wide from a Matt Phillips cross before Lingard had a great chance to make it 2-0 but blazed the ball over the crossbar. United did double their lead 10 minutes into the second half and it was Ibrahimovic again, who cut inside Gareth McAuley on the left side of the penalty area before unleashing a right-footed shot which deflected off Dawson en route to finding the far bottom corner of the net. A tame second half threatened to get lively after 65 minutes when Rondon and Marcos Rojo clashed. The South Americans exchanged words after a heavy challenge from the West Brom striker, who could then count himself fortunate not to be sent off after first pushing Rojo in the chest and then slapping the United defender across the face. United threatened a third goal late on but Pogba sent a shot over the crossbar and then saw a later goalbound effort blocked.